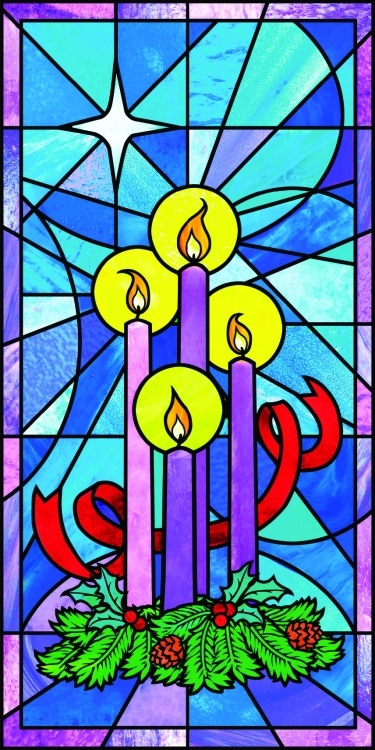 Part of the Stained Glass Series, this Celebrate Advent banner is designed to have a stained glass look, that would be a wonderful addition to your Advent or Christmas services. 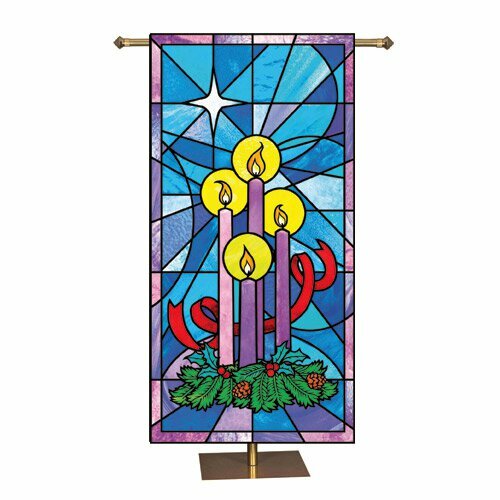 Features double-stitched hems with fused sides and a vent in back that allows poles to set attractively flush to one another, ensuring banner longevity. Fits standard banner pole and accessories, sold separately. Recommended for indoor use only.